Woohoo! I finally get to try out a Kobe ink! Based on how hard to get these inks are in Europe, that's unfortunately kind of a big deal. 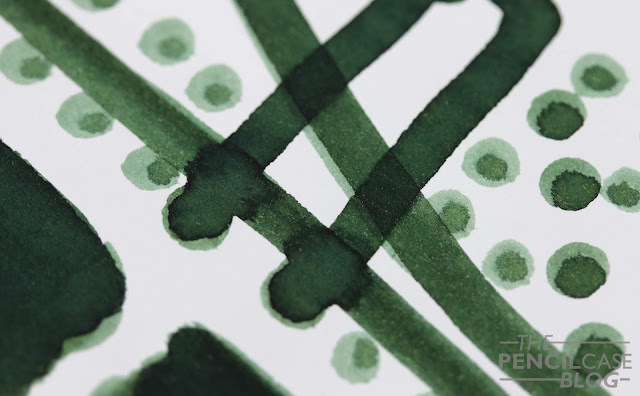 Made by Sailor, this ink is part of a ridiculously large selection of store-exclusive inks (more than 60 colors!) made for the Kobe-Nagasawa store in Japan. Over the years they have become more widely available through some US-based retailers, but so far I haven't come across them in Europe. Australian-based webshop Desk Bandit offered me the chance to try out one of the Kobe inks, so I obviously didn't hesitate! 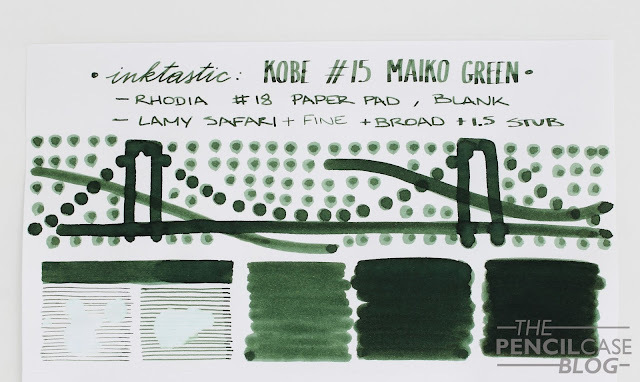 My thanks to them for providing this bottle of Kobe #15 Maiko Green ink to check out! Surprise, surprise, just like a long line of Sailor inks I tried before this, Kobe #15 turns out to be another one I really enjoy! 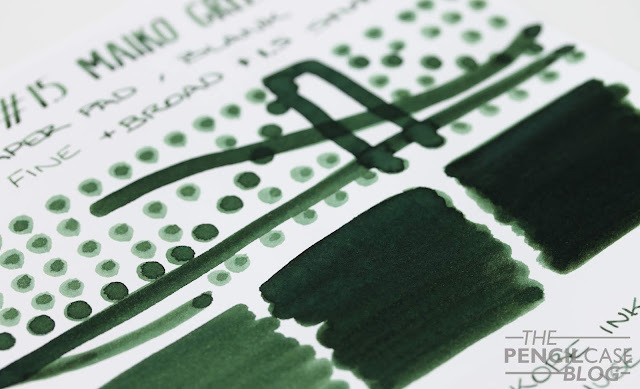 Maiko Green is a relatively dark, mossy green color. It has an ever-so-slight yellowish undertone to it, leaning it towards an olive color. I'd say it's a medium saturated green, which makes it an appropriate color for various contexts of use. Shading is very decent. 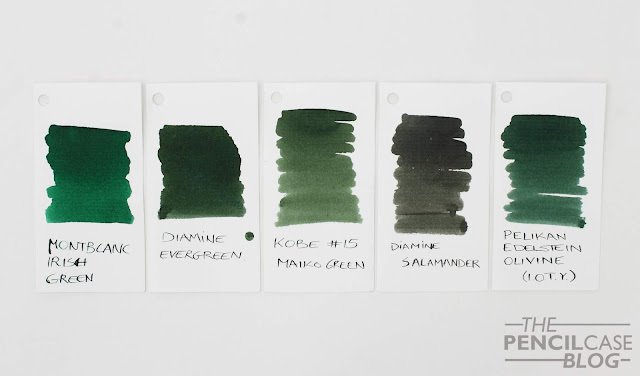 The base color is a nice pastel green, and it shades as a dark green that in some places can appear -almost- black. 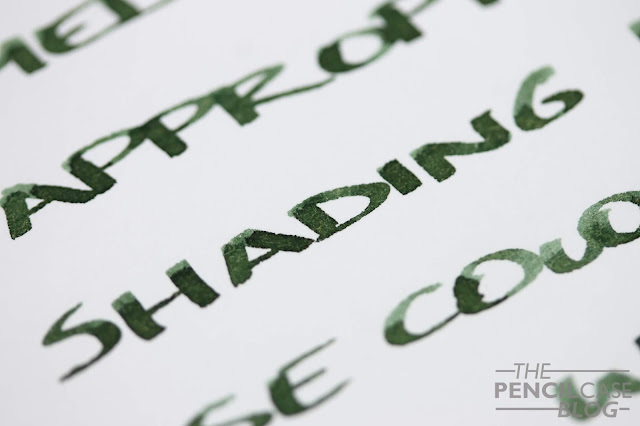 Like most Sailor inks, properties are quite good -if not excellent. 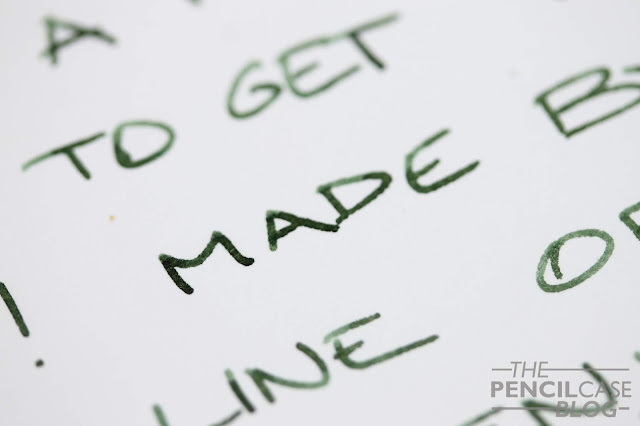 It's a smooth ink with a good, lubricated flow. It doesn't bleed or feather as far as I can tell. Kobe #15 is not waterproof in any way. The only downside with store-exclusive products, especially ones that have to be imported all the way from Japan, is that the price can get quite high. Kobe inks retail for 35 AUD via Desk Bandit, which is slightly cheaper than the US, where they go for about 30$ for a 50ml bottle. This puts them in the higher-end category as far as inks go. 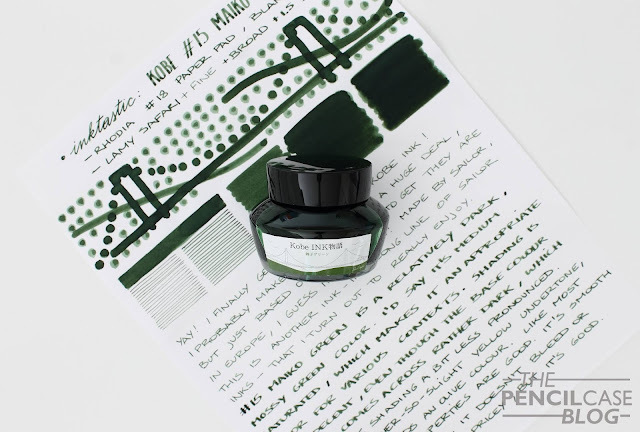 On a side note: Interestingly, Sailor Bungubox ink -another Japanese store exclusive-tend to be even more expensive, even though they are technically identical as they both come from the same manufacturer. 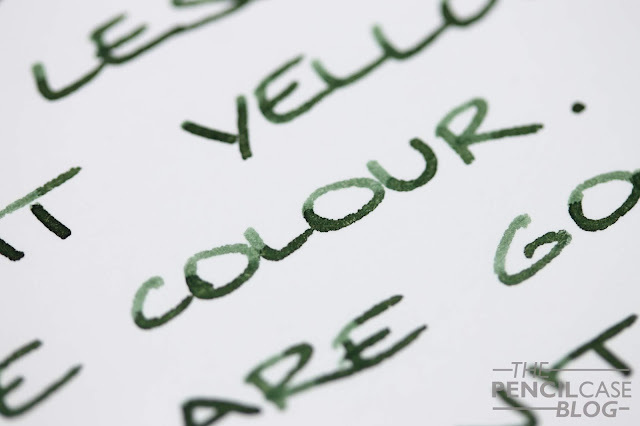 One additional downside -as Joe from The Gentleman Stationer quite elegantly put it in one of his posts- is the sheer number of colors you can choose from. If you're a completionist like I am, you might find yourself on an impossible mission to catch 'em all once you tried one! This product was sent to me by Desk Bandit, so I could write this review. I was in no way influenced in the making of this review, the opinions shared in this review are completely my own! This post does not contain affiliate links.